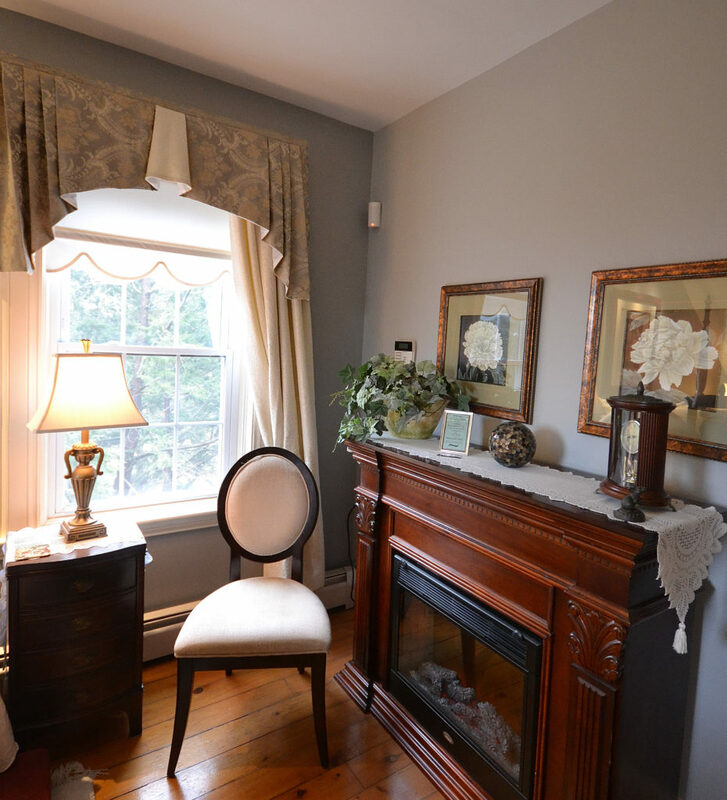 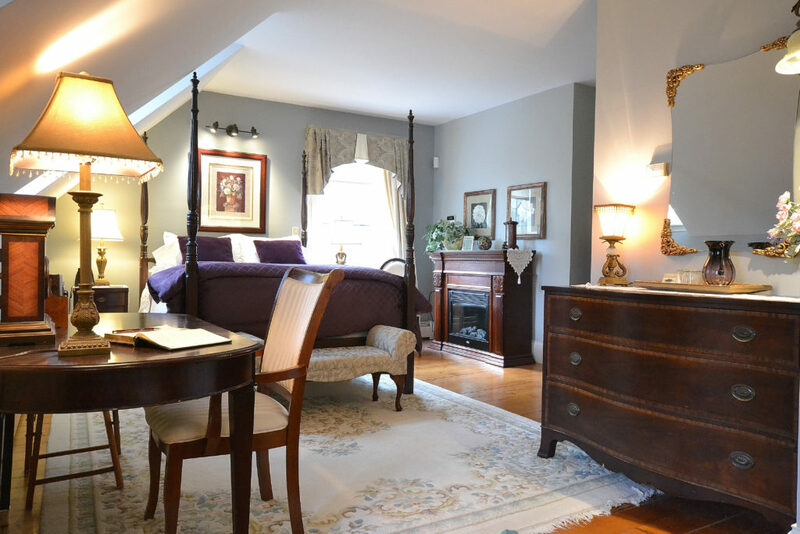 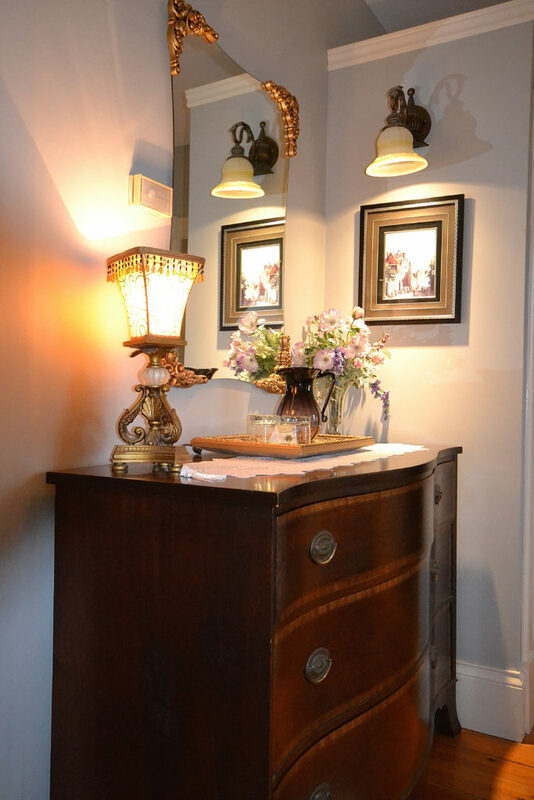 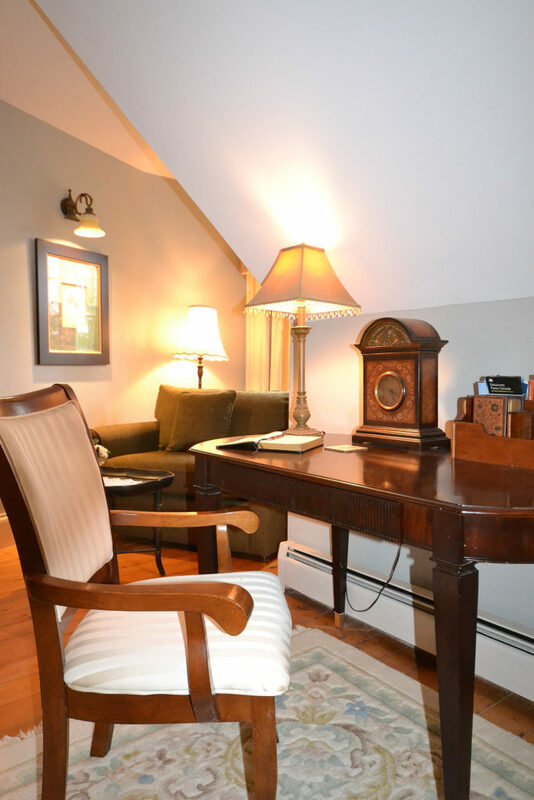 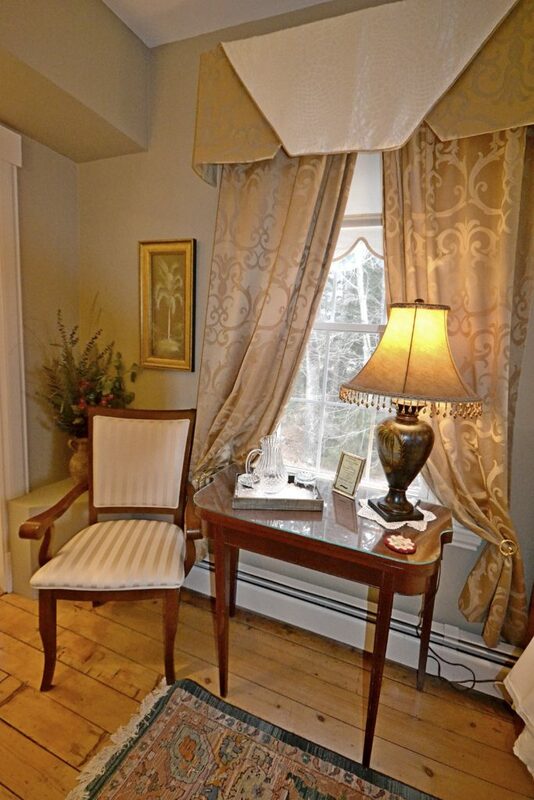 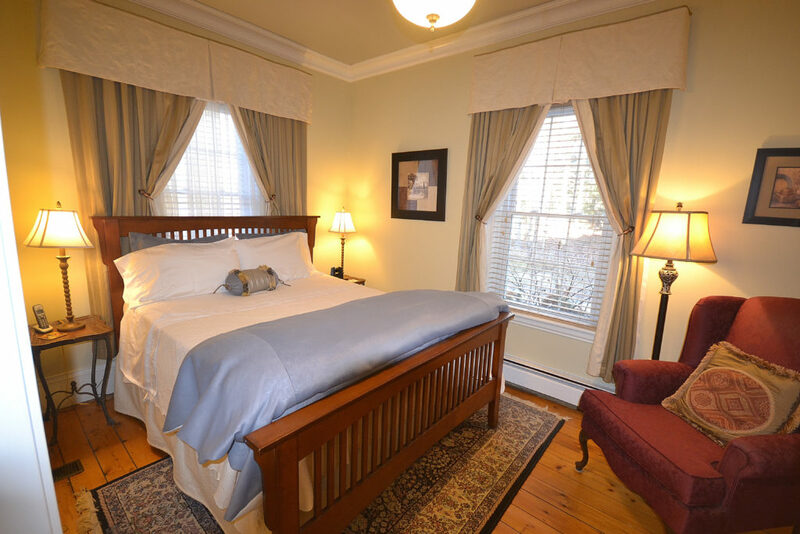 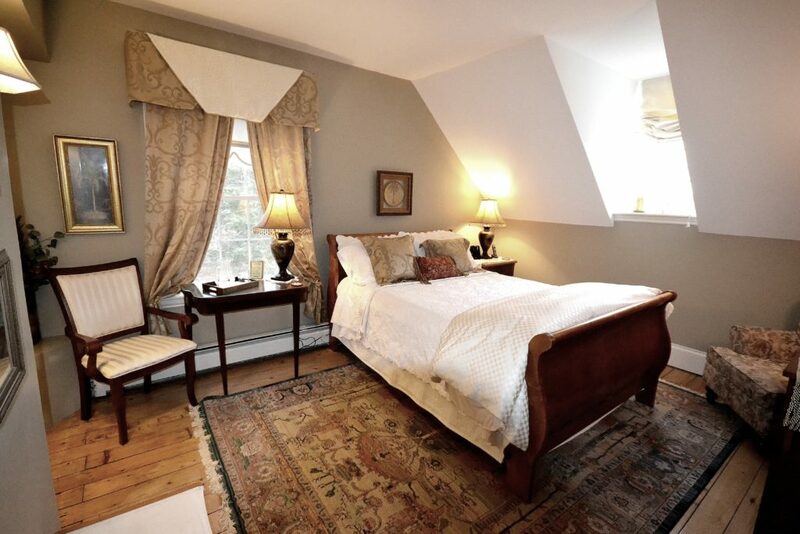 The Quince Suite offers our guests a quiet elegance complete with antiquities of yesteryear. 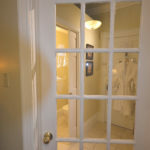 It has its own private 4 piece ensuite complete with a soaker tub to while away a lazy evening. 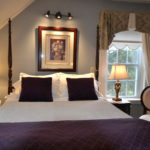 The quince has been designed to offer a quiet and, peaceful reflection of the day complete with a plush comfortable bed with down duvets and fresh linens. 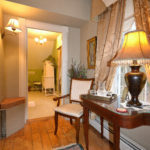 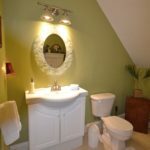 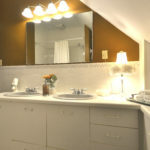 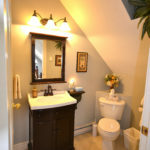 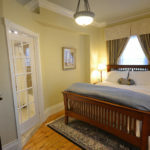 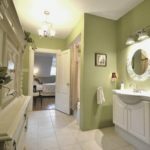 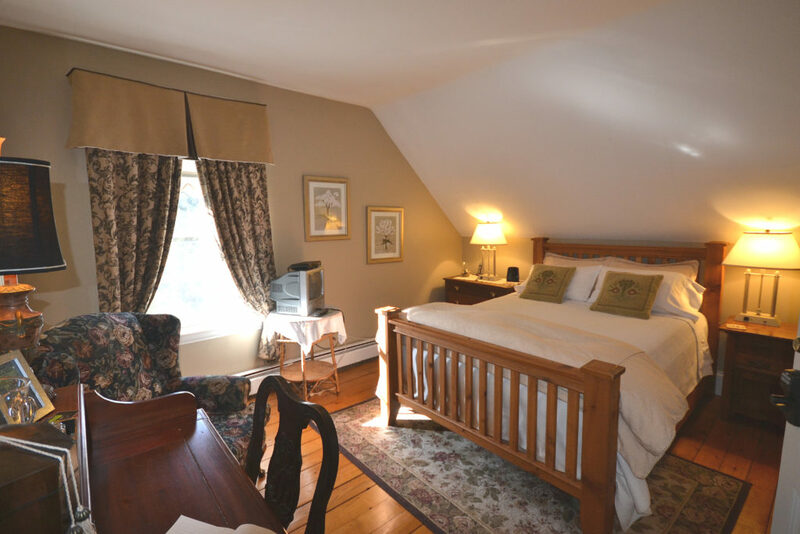 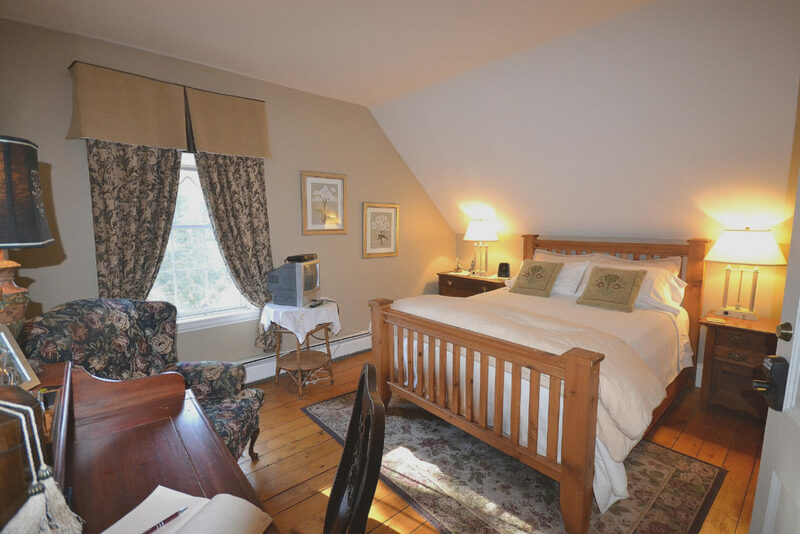 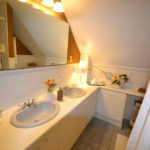 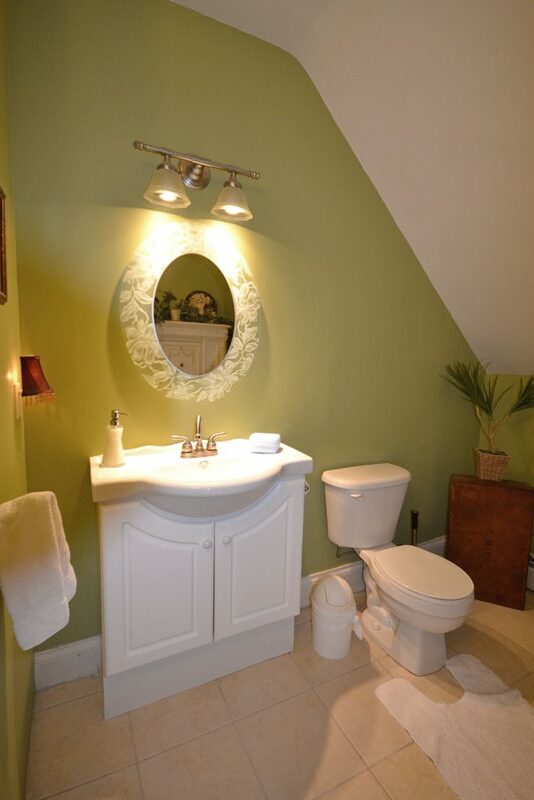 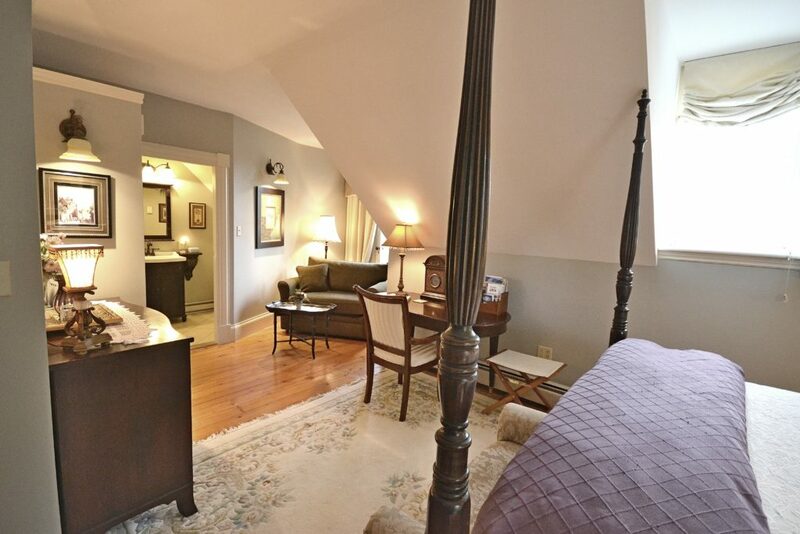 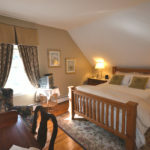 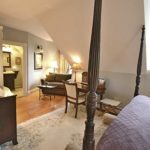 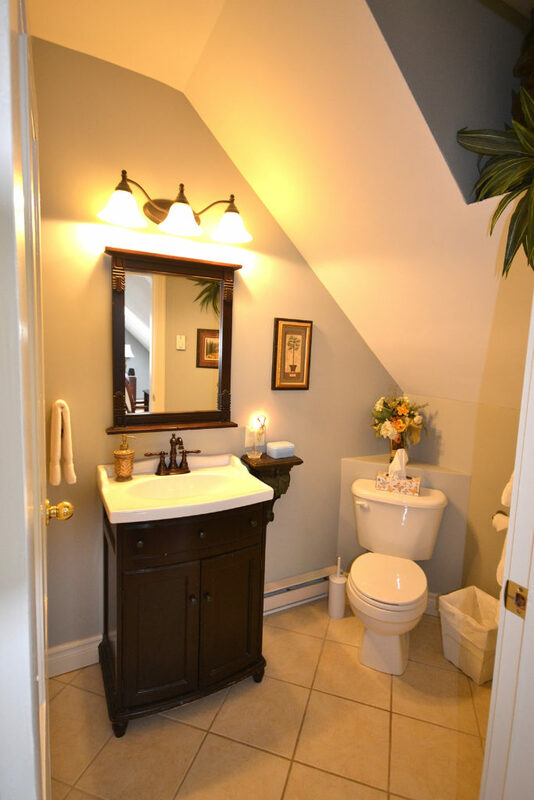 The Thistle is our newest room and is located on the main level and features a gorgeous 4 pc ensuite bath with the powder room separated from the shower. 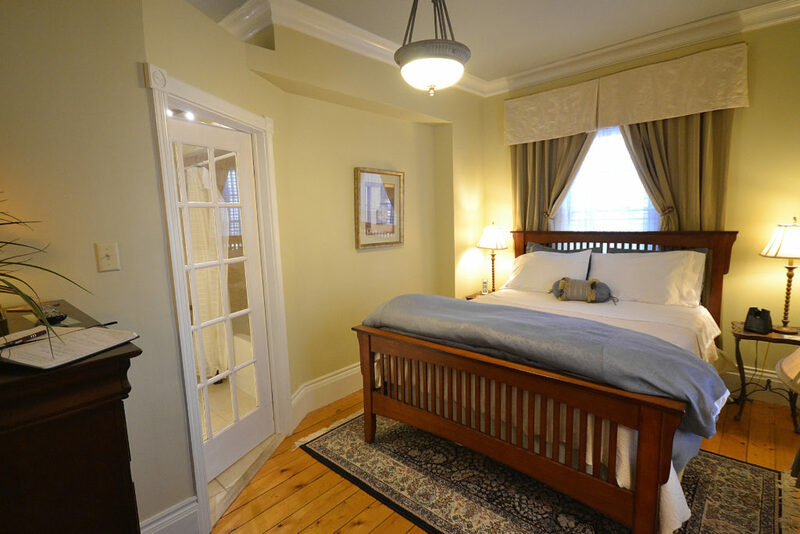 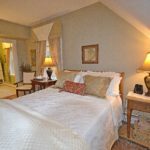 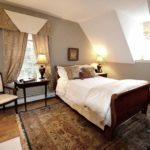 The room has 10' ceilings with wide cove mouldings, a mission queen bed complete with a down comforter and 100% Egyptian cotton sheets. 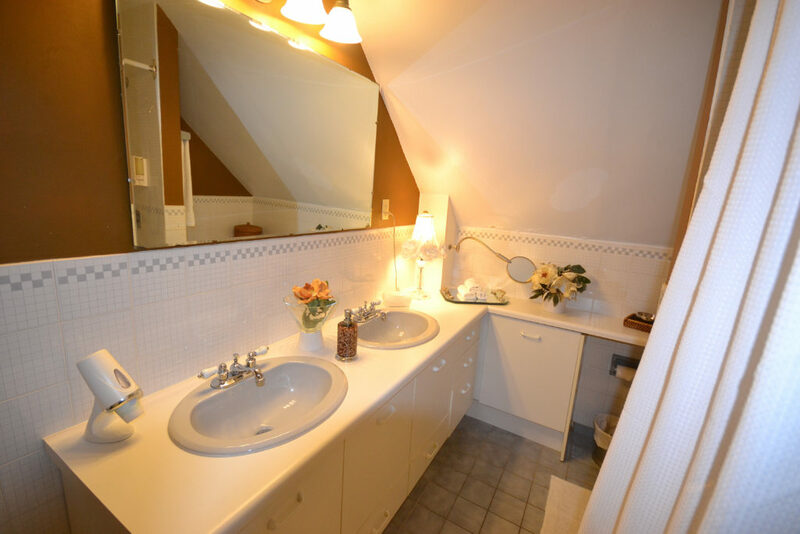 For your convenience it has a TV, phone and hairdryer. 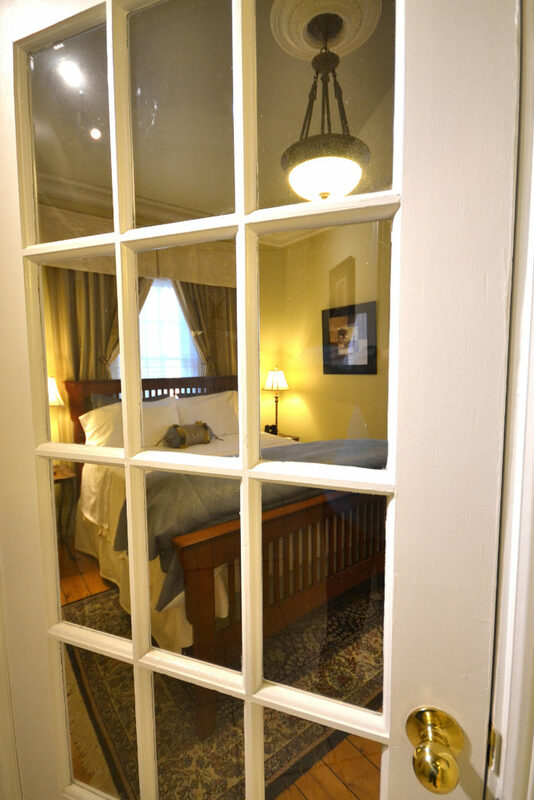 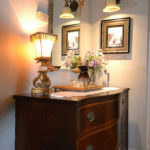 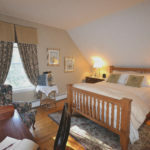 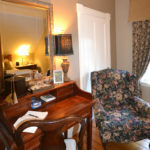 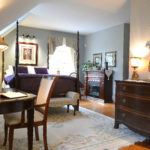 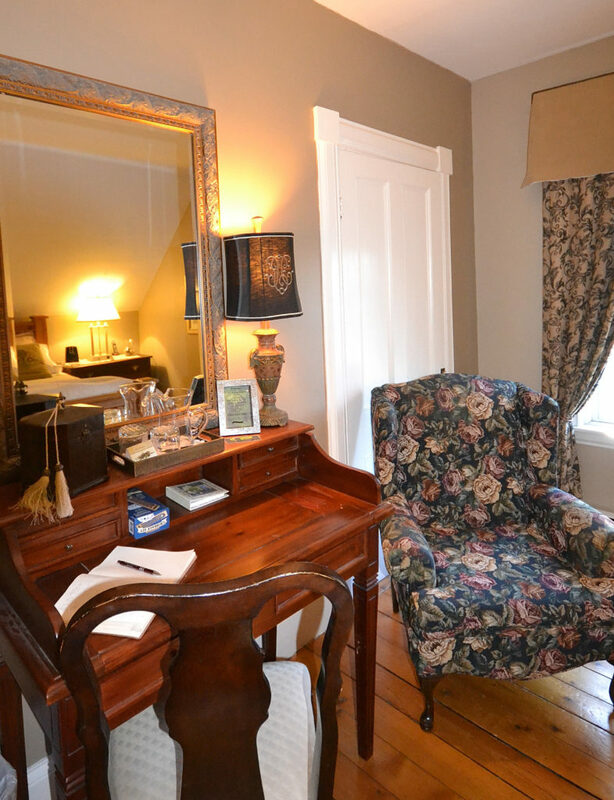 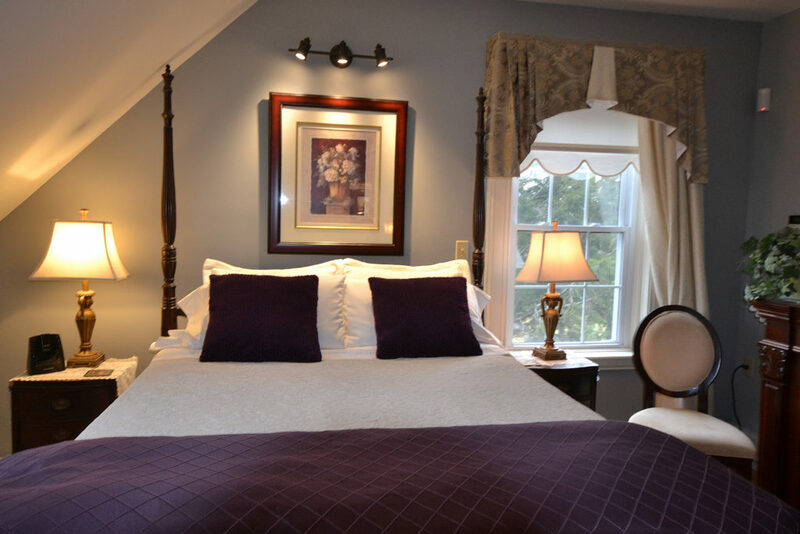 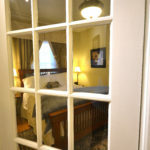 The Blackberry offers our guests complete comfort with its queen bed, down duvet and period pieces of years gone by. 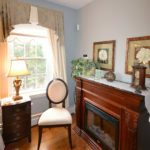 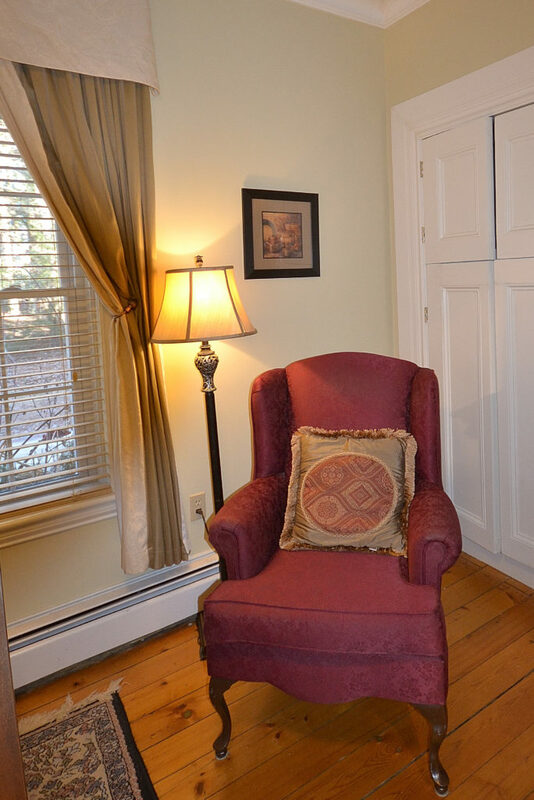 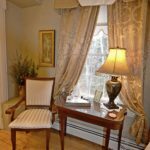 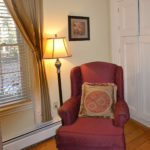 It offers a quiet reading space with a southern exposure and a huge overstuffed chair for kicking back at the end of a tiring day. 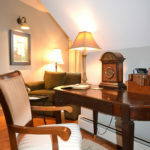 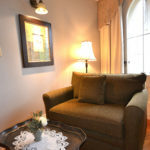 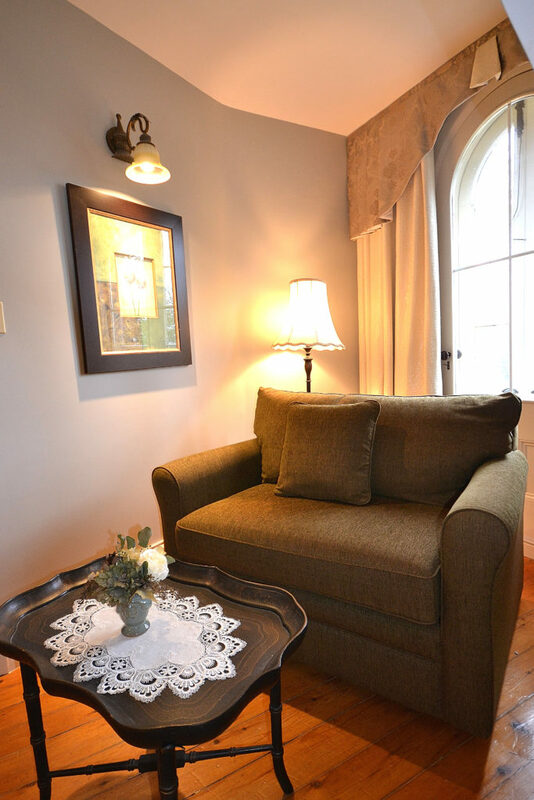 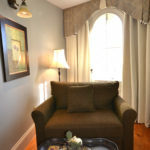 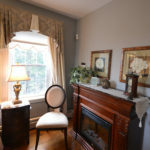 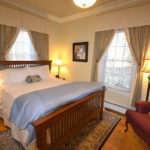 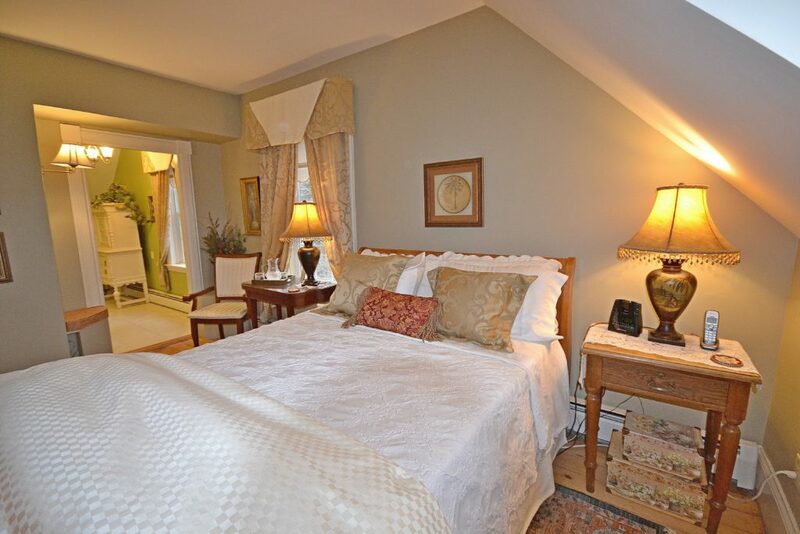 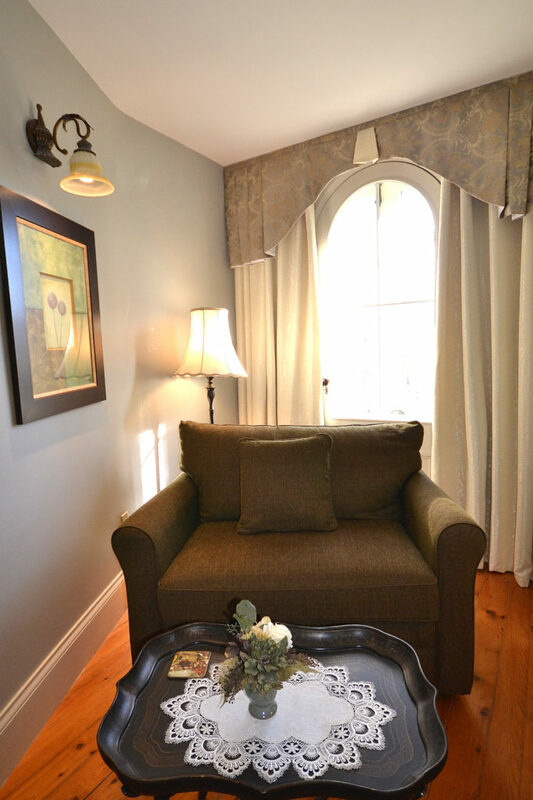 Fresh linens, cut flowers (seasonal) and a sense of home soothe the aches of the weary traveler. 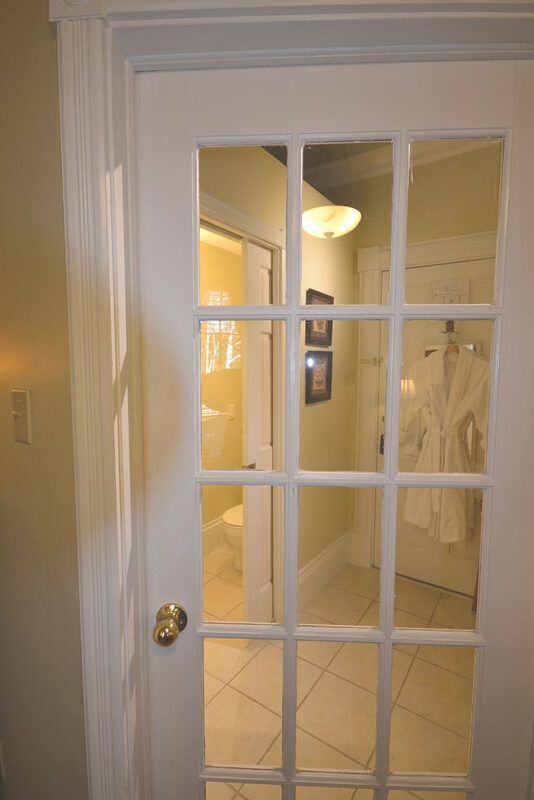 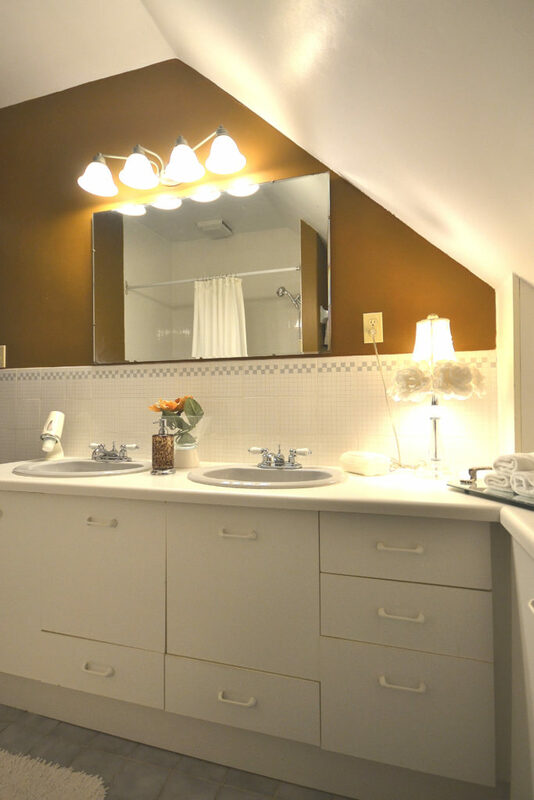 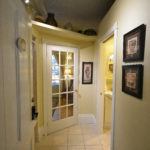 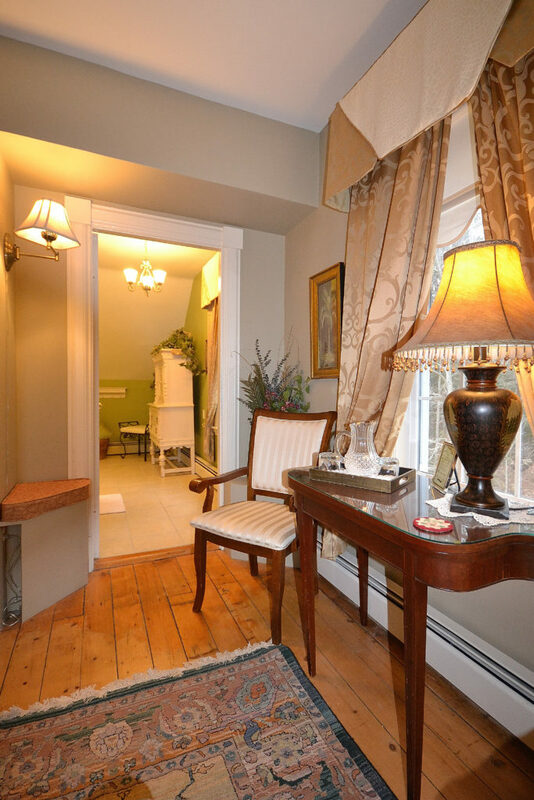 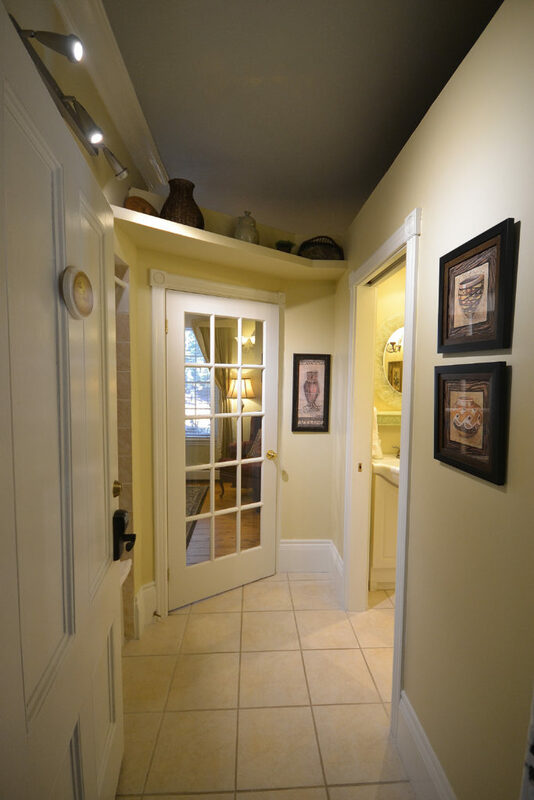 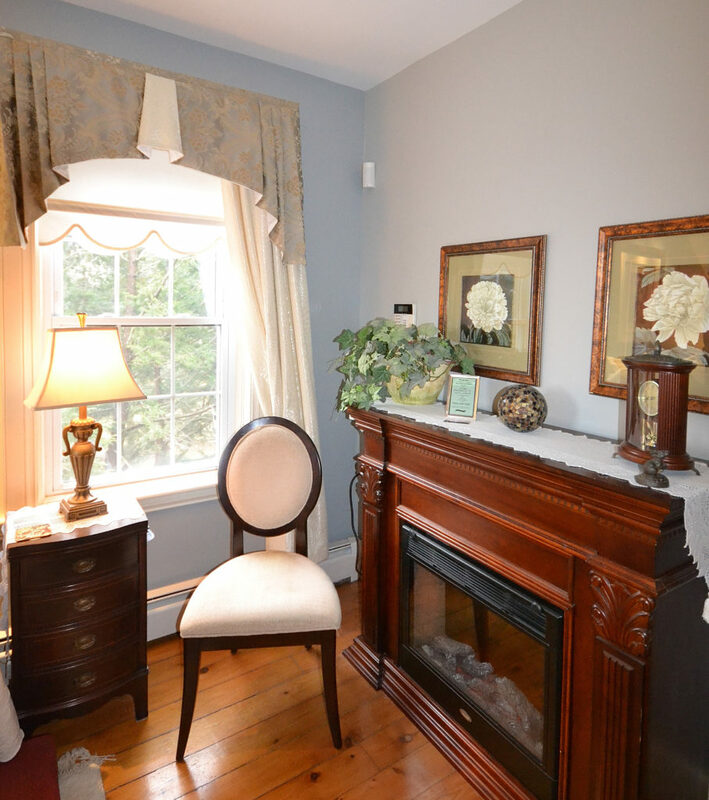 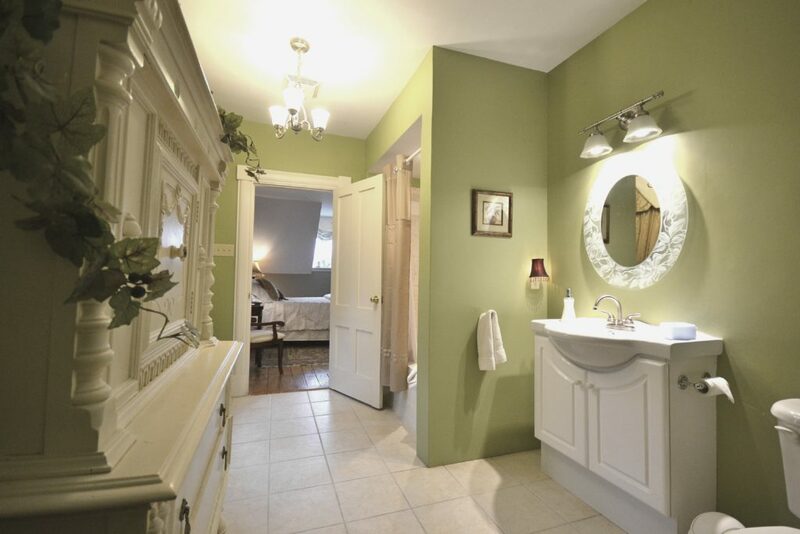 This room offers a private bath located across the hall.